The Senate Committee on Banking, Insurance and Other Financial Institutions on Wednesday screened President Muhammadu Buhari's nominees for the board of the Nigeria Deposit Insurance Corporation. The fight for 2019 Presidential Election reared its head on Wednesday at Senate Committee screening of nominees at the National Assembly, Abuja. Senators on the platform of the ruling All Progressives Congress (APC) and the Peoples Democratic Party (PDP) sharply disagreed over comment by the spokesperson of Buhari Campaign Organisation, Festus Keyamo that the PDP Presidential Candidate, Atiku Abubakar was corrupt. Trouble started when Keyamo appeared before the Senate Committee on Banking, Insurance and other Financial Institutions for screening as a nominee into the governing board of the Nigeria Deposit Insurance Corporation (NDIC). Tempers were however high when the Chairman of the Committee, Senator Rafiu Ibrahim (PDP Kwara South), reminded Keyamo of his recent comment that Atiku Abubakar is corrupt. Senator Ibrahim while trying to drill Keyamo on the comment said: ”I want to refer to your words when you said the presidential candidate of the PDP is corrupt. I think you may have to wait until you’re done with the job before you can sit on the board. But APC members of the committee like Danjuma Goje (Gombe Central), Umar Kurfi (Katsina Central), Fatimah Raji Rasaki (Ekiti Central) etc, disagreed with Senator Ibrahim by warning him not to mix politics with the screening exercise. Specifically, Senator Goje in his reaction said: ”I want to observe and caution the chairman that in as much as we belong to different political parties, we shouldn’t bring too much politics on this matter. 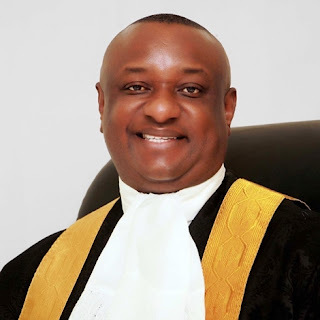 While responding to the alleged comment, Keyamo said: “When the Senate of the United States came out to say that somebody brought slush fund into the US and as such the person is corrupt, we can call the person corrupt. That’s what we relied on. But we can’t call such person a convict”. Interjecting, Ibrahim said Keyamo had started “playing dirty” in the political game. “I know your antecedents. You are a civil rights lawyer, and maybe that is why EFCC is using you and it is getting results,” he said. The APC senators in the committee, however, warned Ibrahim against asking questions they termed as political.